View cart “S-SPOON 52G CHROME” has been added to your cart. 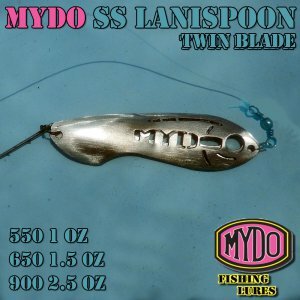 Mydos smallest SS Spoon is the 550. 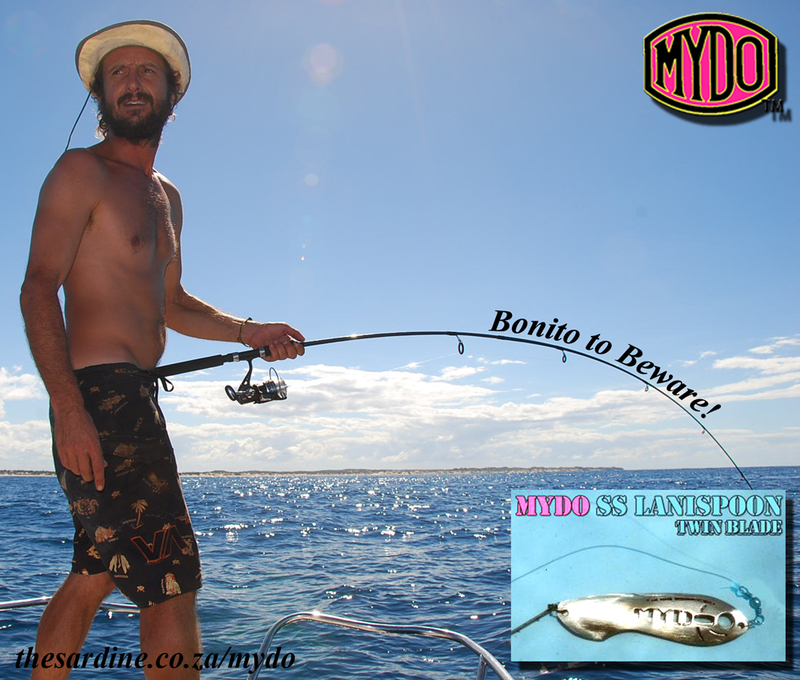 Light and lively, this lure skips over rocks and obstacles in the surf zone. 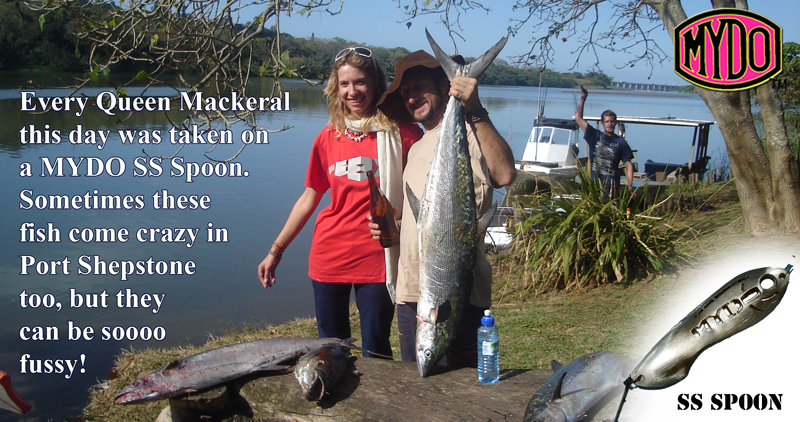 Getting you right to where the shad hunt, and where the garrick hunt the shad. 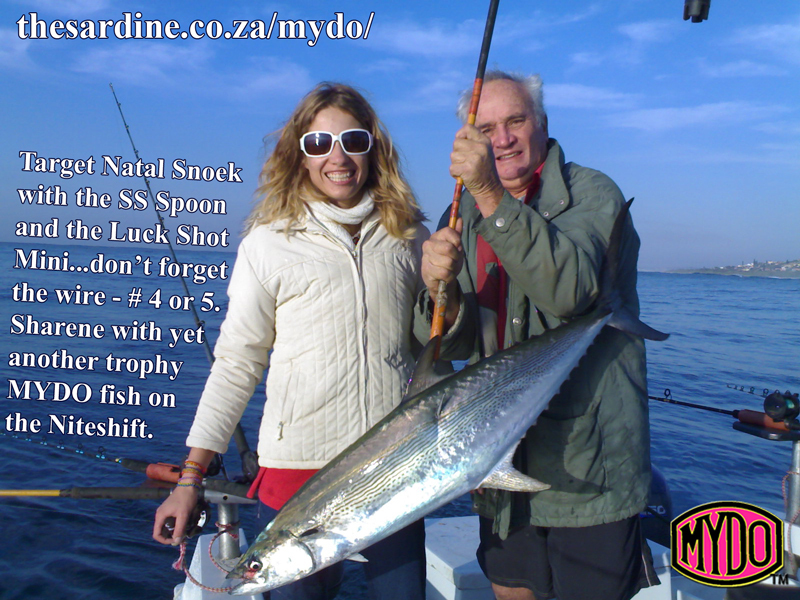 The all new SS Lanispoon 550 is a light and lively twin blade stainless steel hi-tech designed spoon. Technology and tradition have combined to produce bubbles and splash, shine and flash – and an amazing gentle swimming action that can be fine tuned to the fish or conditions you are fishing. These spoons are ultra light weighing in at 14 grams rigged. That is half an ounce. But they are streamlined with weight in the keel, and lateral line holes allowing air through. So with your light braid outfit, you are out way over the back. And the retrieve brings the spoon to the surface part of the water column. And away from rocks or other obstacles. These spoons are targeted squarely at elf/shad, garrick, kob…fished in the surf zone and estuaries all along our coastline. 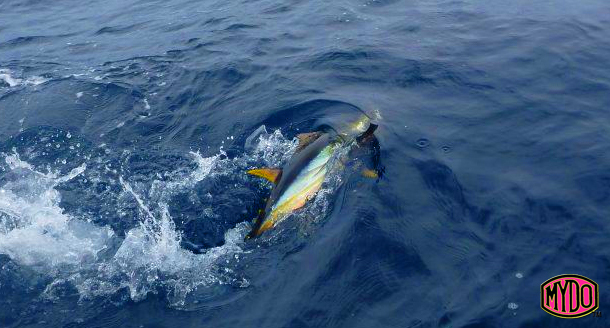 Take them out to sea and throw them at bonito and tuna for the time of your life!